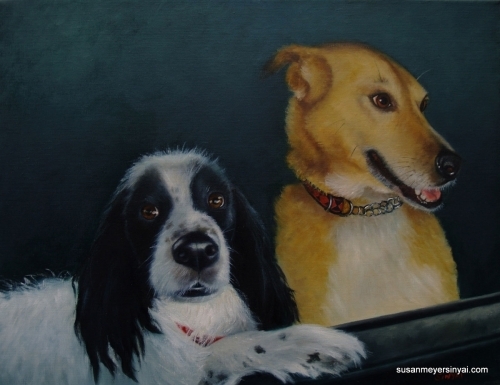 The granddogs, Frank and Shine, looking mighty fine for their official portrait. Oil on linen. Pastel on Ampersand Pastelbord. 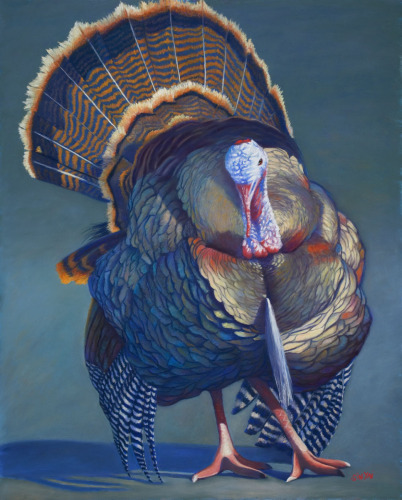 This is a commissioned "turkey portrait," which shared my admiration for the beautiful, irridecent colors displayed by the male turkey when he is in a romantic mood. Turkeys abound in North Asheville, so it was not difficult to find a subject. This "pose" was comprised of several photographs taken. When they are all puffed up they definitely show some attitude!